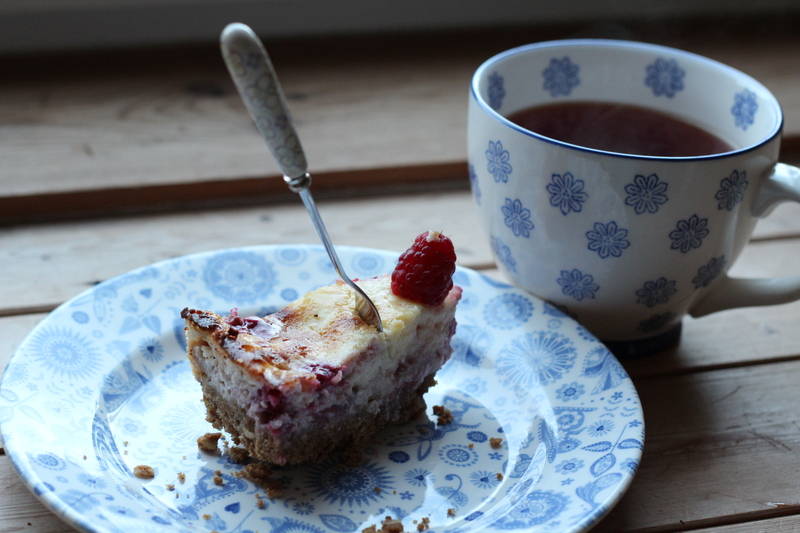 Ethical Eating Month – Cheesecake . . . wait? Why no Ethical Eating post this week? Well we had our exam board for the MSc and so it’s been crazy busy. Instead, let me offer you my Cranachan Cheesecake recipe as an apology. Preheat the oven to 180C and butter the pan. Crush the digestive biscuits up and and mix with oats and melted butter, press down into the pan and cover with sliced strawberries and raspberries. Put in the fridge to chill while you prepare the cheese filling. A few things: Why use bourbon and not an expensive Scottish whiskey? 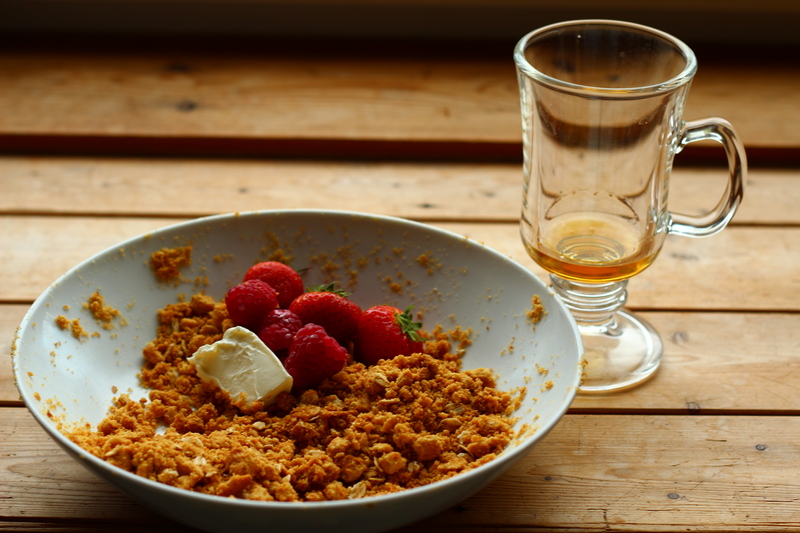 Well bourbon, especially Jack, has the vanilla flavours, the honey flavours and the extra sweetness that puts you in mind of cranachan, but you could use a good whiskey if you have one on hand. You might want to add a dash of vanilla flavouring in that case. Serve with tea and Great British Bake Off!